World Rent A Car Rental offers the youngest fleet in Phuket Thailand, Great pride is taken in the fleet, which is regularly serviced to ensure the comfort and safety of customers. 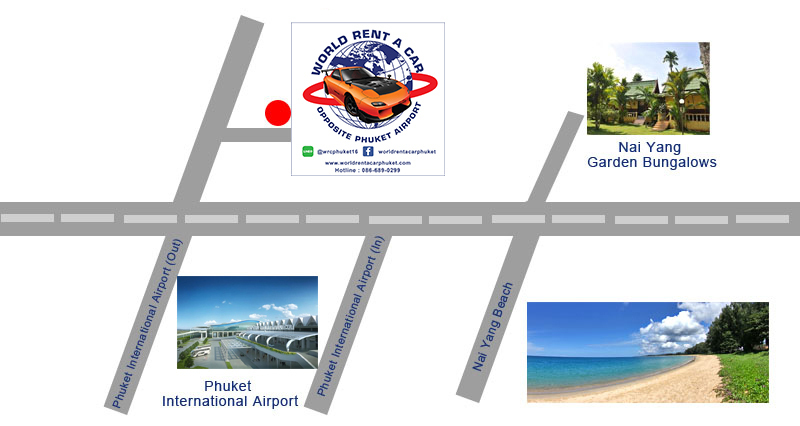 World Rent A Car Phuket is a good family owned and offer the best value in car rental. With our good range of well maintained and insured cars and jeeps, you can enjoy your stay and explore Phuket the easy way. We are located near Phuket International Airport, but for your convenience we can offer a drop off and pick up service anywhere on Phuket Island. Phuket international airport, Phuket town, Patong, Kata, Karon, Kamala, Bangtao, Surin, Rawai, Ka Cape, Panwa Cape.